The Ocean School, in partnership with The Bay Foundation and the Center for Santa Monica Studies at Loyola Marymount University (LMU), engaged local Middle School students in a workshop to design and build underwater remote operated vehicles (ROVs). These high-tech submarines provided an amazing opportunity for kids to experience the hands-on joy of STEAM learning, alongside experts in the field. Students were introduced to the basic principles of buoyancy and thrust as they were guided through a discovery-based process in small teams. They had the opportunity to experience the full scope of an engineering challenge, from concept design through final testing. 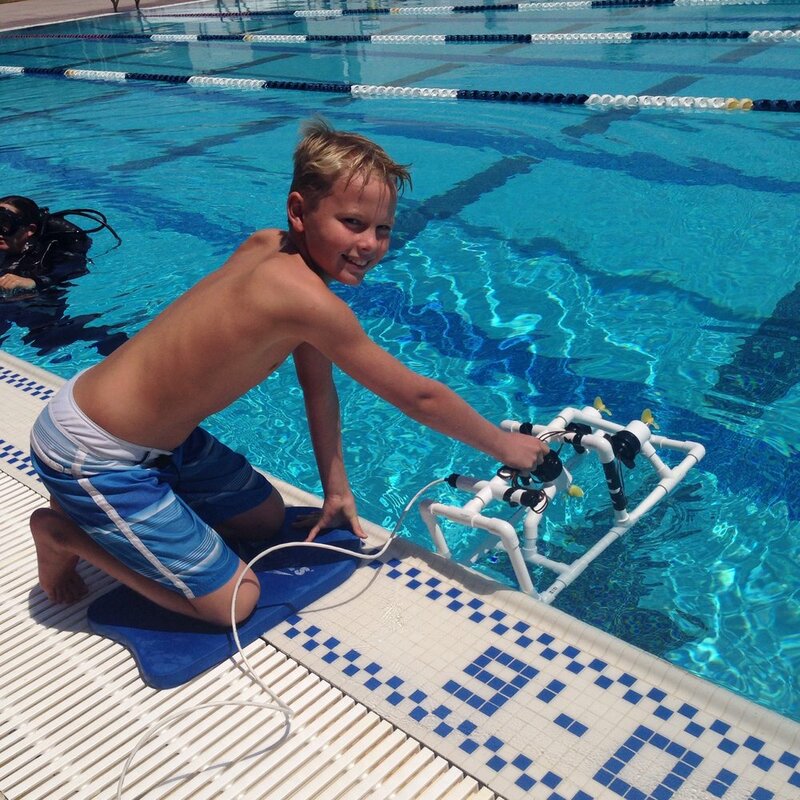 At the conclusion of the workshop, each design team's model ROV competed in the LMU pool, navigating an underwater obstacle course against the clock. It was a great weekend for everyone involved!